I have some data that goes to Pivot table then to pivot chart. There is a slicer to filter the data. But when I slice, my pivot chart gets messed up. How to have the slicer, but still see the insights in the chart?!? This is because when you slice by a school, the pivot table gets filtered and hence % row total for that school becomes 100% (as there are no other schools). How to fix the problem? The easy answer is to remove the slicers. But we want to have our slicers and eat a slice of them too. So we crank up the Excel awesomeness valve and get to work. There are two ways to achieve what we want. Read the rest of this article to know more. Ladies & gentleman, put on your helmets. This is going to be mind-blowingly awesome. 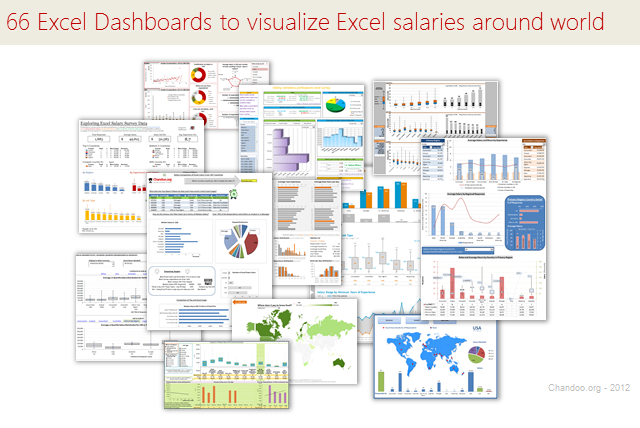 See how many different ways are there to analyze Excel salary data. Look at these 66 fantastic, beautifully crafted dashboards and learn how to one up your dashboard awesomeness quotient. Last week, we have learned what Pivot Table Report Filters are & how to use them. Today, I am going to show, how you can use simple macro code to change the report filter value dynamically. We will learn how to create the chart shown here. 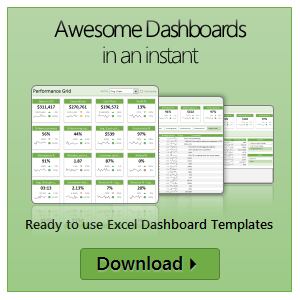 Do you know that Excel 2010 makes creation of dynamic dashboards very simple? Yes, that is right. 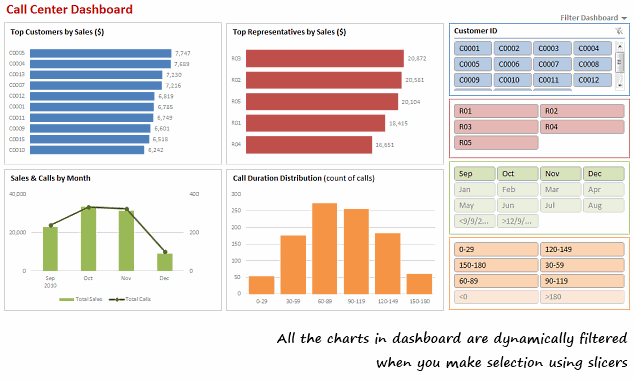 Using slicers feature, you can create dynamic excel dashboards from your data in very little time. Today we are going to learn a technique that will help you create a dashboard like below. Read rest of this post to find out how to construct a dynamic dashboard in Excel & download the example workbook. Do you know you can group dates in pivot tables to show the report by week, month or quarter? I have learned this trick while doing analysis on a pivot table today. In this online lesson on pivot tables, I will teach you how to group dates in pivot tables to analyze the data by month, week, quarter or hour of day. Excel pivot tables are very useful and powerful feature of MS Excel. They can be used to summarize, analyze, explore and present your data. In plain English, it means, you can take the sales data with columns like salesman, region and product-wise revenues and use pivot tables to quickly find out how products are performing in each region. In this tutorial, we will learn what is a pivot table and how to make a pivot table using excel.